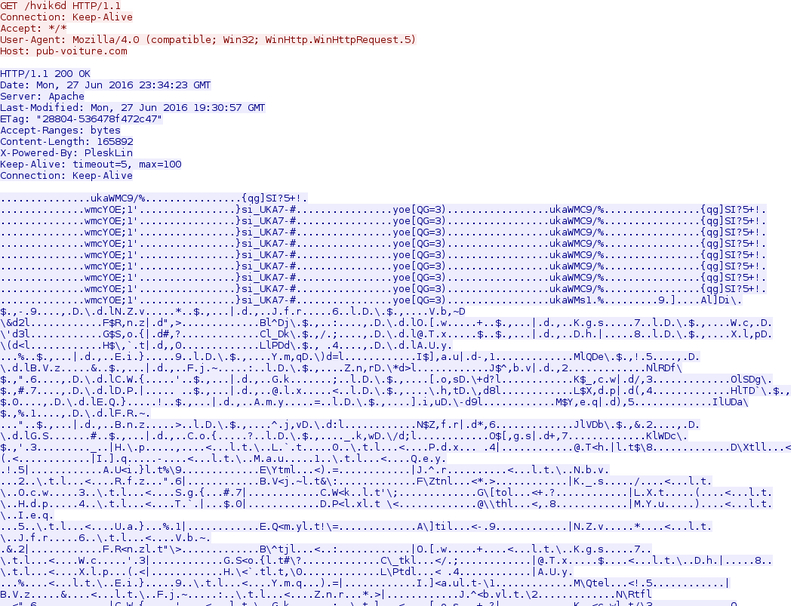 Shown above: Data from the .csv spreadsheet on 12 malspam samples from Monday 2016-06-27. Shown above: Data from the .csv spreadsheet on the 12 malspam attachments from Monday 2016-06-27. Shown above: An example of the text from one of the emails. 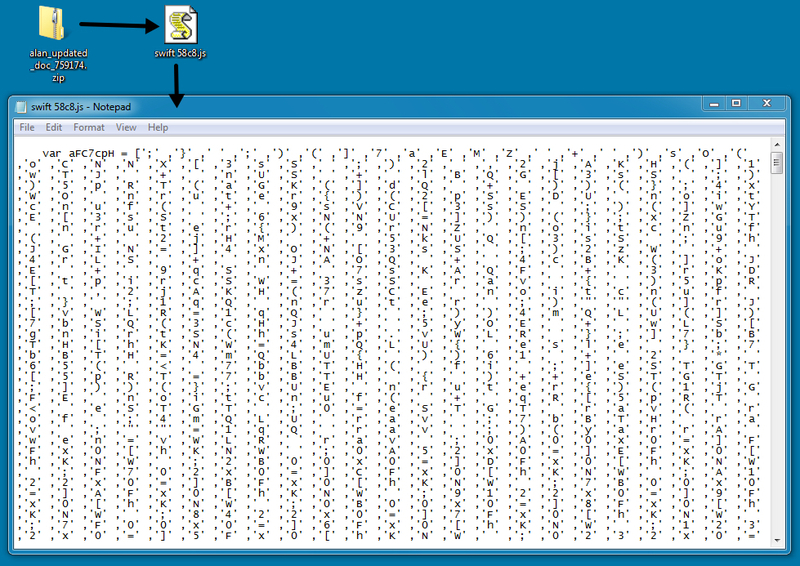 Shown above: From zip archive to looking at the text of the extracted .js file. 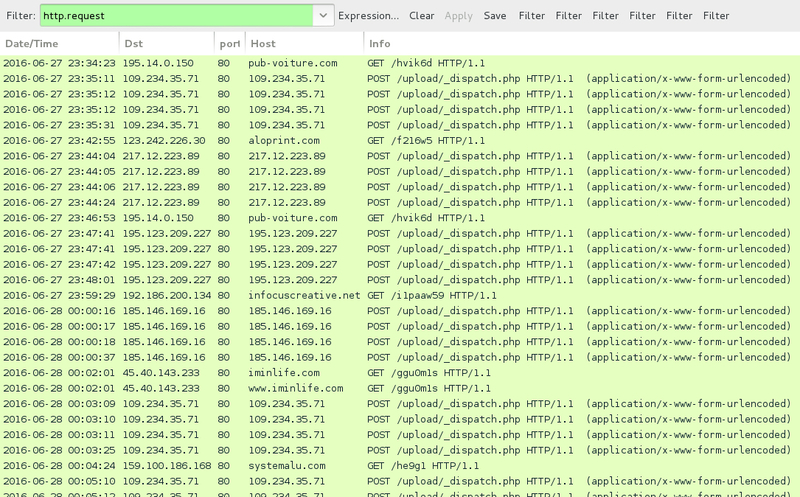 Shown above: Traffic from some of today's Locky infections filtered in Wireshark. 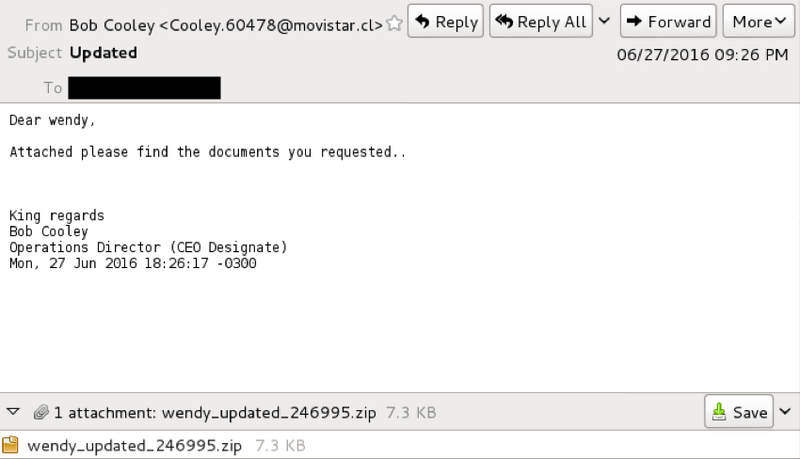 Shown above: Locky being downloaded by one of the .js files (Note: Locky is obfuscated here). 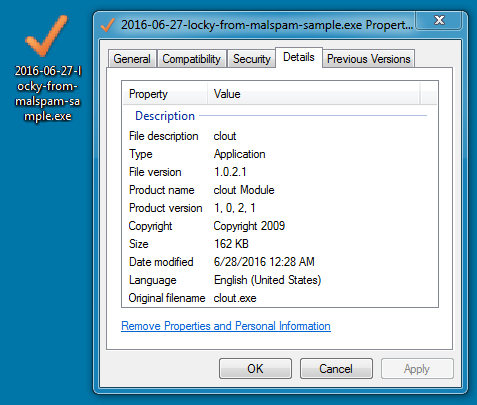 Shown above: An example of Locky after it was decoded on a local host. 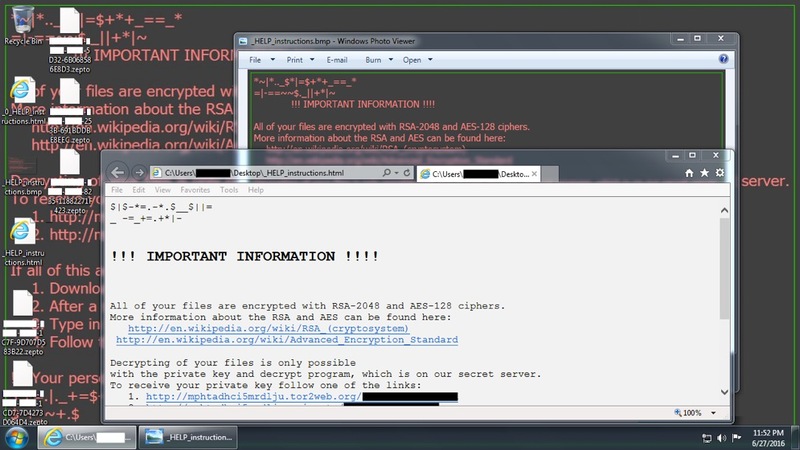 Shown above: A Windows computer's desktop after one of today's Locky infections.